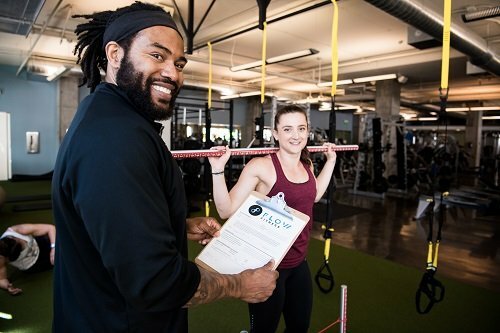 Personal Training Session (3- 50-minute session): With a Flow Personal Trainer by your side, you will receive expert guidance, motivation, and training based on your physical assessment results and your own personal fitness goals. All sessions are powered by positive energy and driven by member results. Strength Camp Sessions (4- 50 minute sessions): These group workouts are ideal for those want the benefits of personal training but in a group format. Strength Camp is designed to help in decreasing/overcoming injuries, improving muscle development, raising metabolism, and boosting self-confidence. With a limit of up to 4 participants, sessions size is small, individual attention is high, and the focus is always on you.